OK guys, I've been patiently waiting for this for a while. 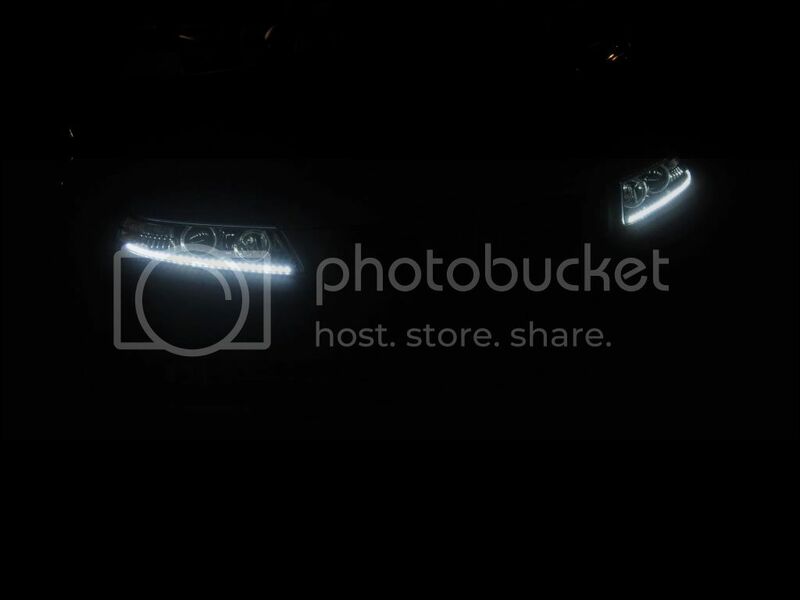 Yesterday, Buda and I tackled putting LED's in my headlights (a la bforbrian). These turned out MUCH better than I ever expected. 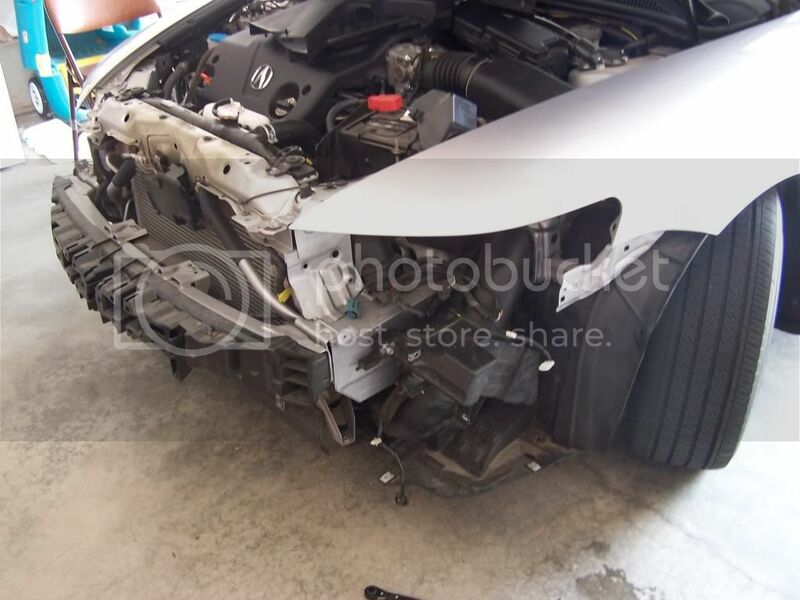 First, we took off the nose of the car. 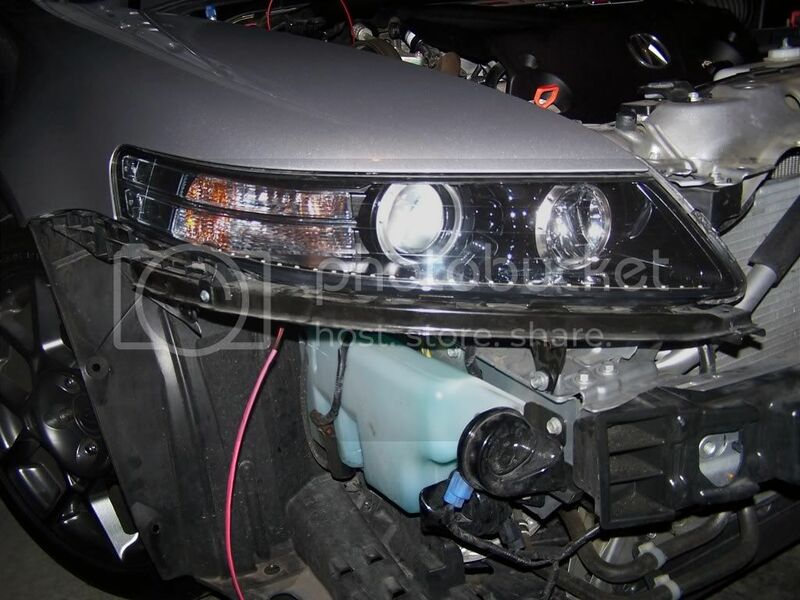 Then removed the headlights. I never told Buda this, but all this made me very nervous, but I trust him totally, so we kept going. 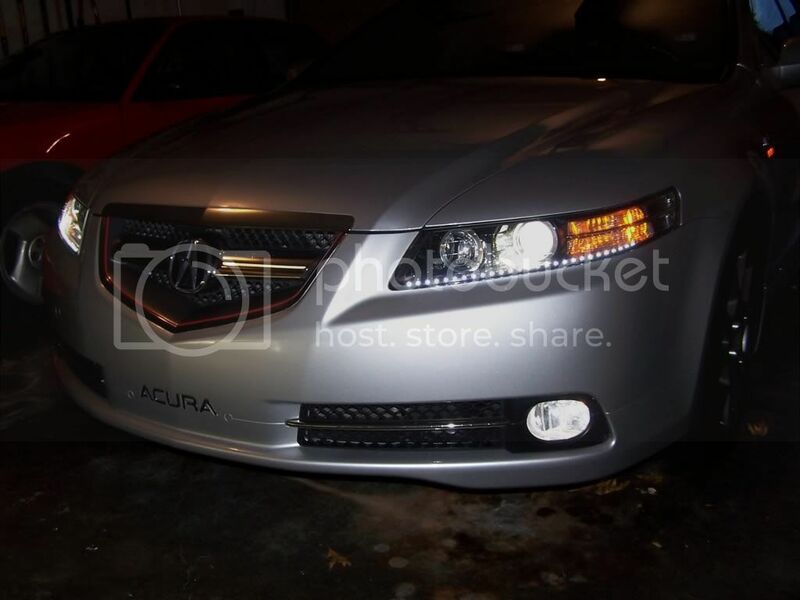 The goal was to clear the headlights, insert carbon fiber vinyl in the sides and insert the LED's. We make a good mess! 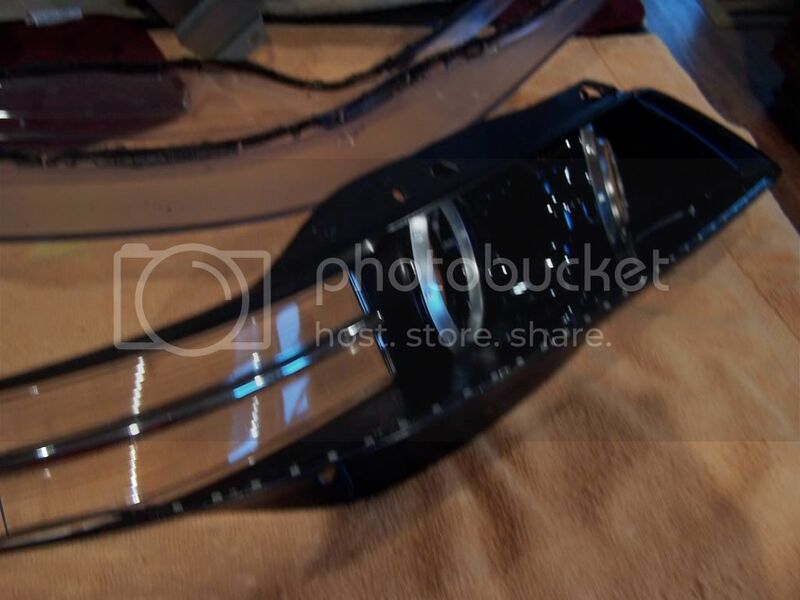 We placed the brand new side emitting LED's onto the headlight tray. These LED's are brand new from Oznium.com. I bought a 2-two foot lengths for the headlights. Then drilled small holes in the bottom of the try to run the wiring. We decided to use the diffuser again-a better look for the Type S.
We then rebaked the headlights after applying adhesive-just to make sure the adhesive worked and stuck together. After baking them, we applied more adhesive-just to make sure we had a perfect waterproof seal. Then it was time to re-insert the headlights into the car. Wiring was next. Buda is a perfectionist, so he shrink wrapped all the wiring, inserted a fuse as a precaution-just in case. We wired the LED's into the winshield wipers. The green wire is hot all the time, so it's a perfect place to tap in to the system. 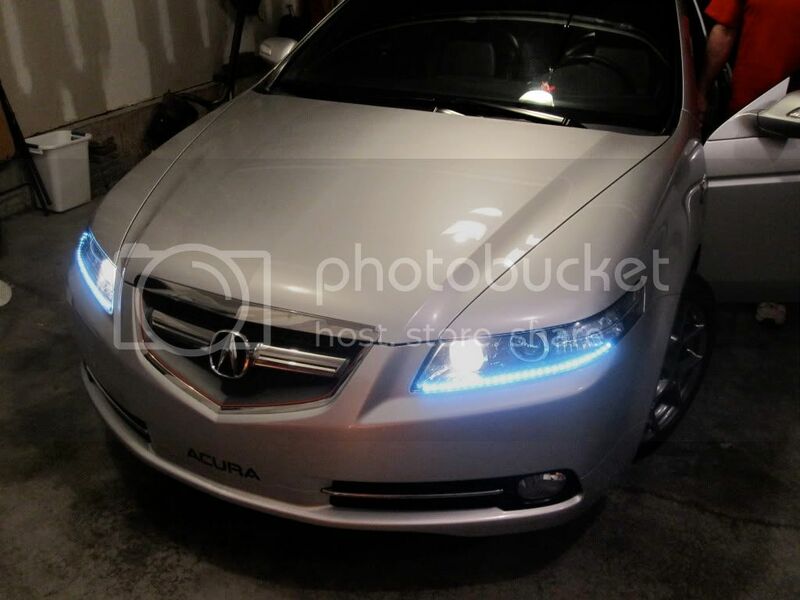 I wanted the LED's on with the DRL's and the headlights. So the green winshield wiper wire facilitated this perfectly. Here's a headlight after we're completely done with the handywork. 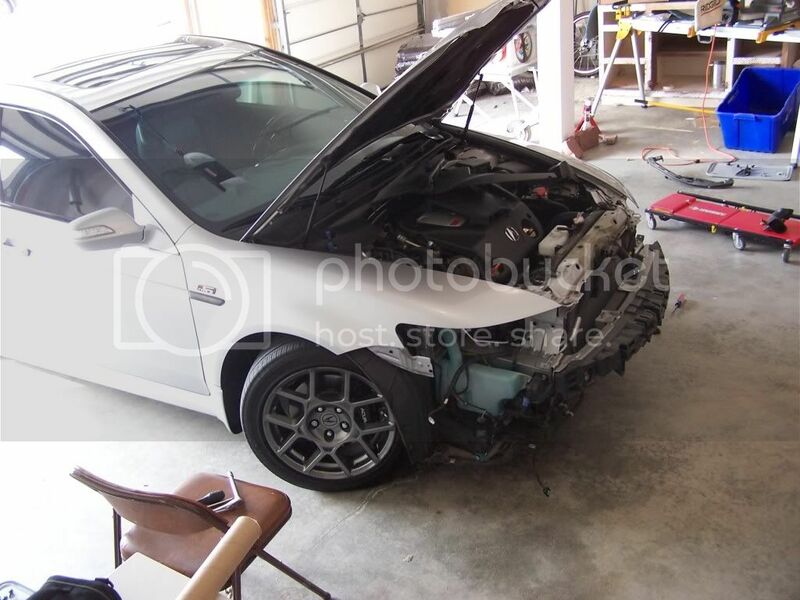 This is our test before we start re-assembling the Type S.
After a lot of hard work, we have the finished product! Here's a picture with just the LED's on. We got the headlights to do this by applying the emergency brake---nice effect! Both of them-in the dark-with the emergency brake on. The one thing I didn't know is that the diffuser bulb is amber too. I wanted to get the lights cleared, which we did, but I still have amber in the lights because of the bulb. So today I ordered a switchback light that will burn white, but when I turn on the turn signal, it will blink amber. Once they are delivered and installed, I'll update these pictures. I hope you guys like these pics. Buda, as always did an OUTSTANDING JOB. He is truly a master at all this stuff. Honestly, I could have never done it without him. Me and electricity have never formally met. So I owe this to all to The Master! Thanks Sean !!!! sick!!!!!!! yo where is buda?? buda and I used to talk alot when we I first came out with the switchback side markers. He mentioned that yesterday! Reach out to him Link. He said you guys used to talk all the time! I am in awe!! I cant wait to do this. 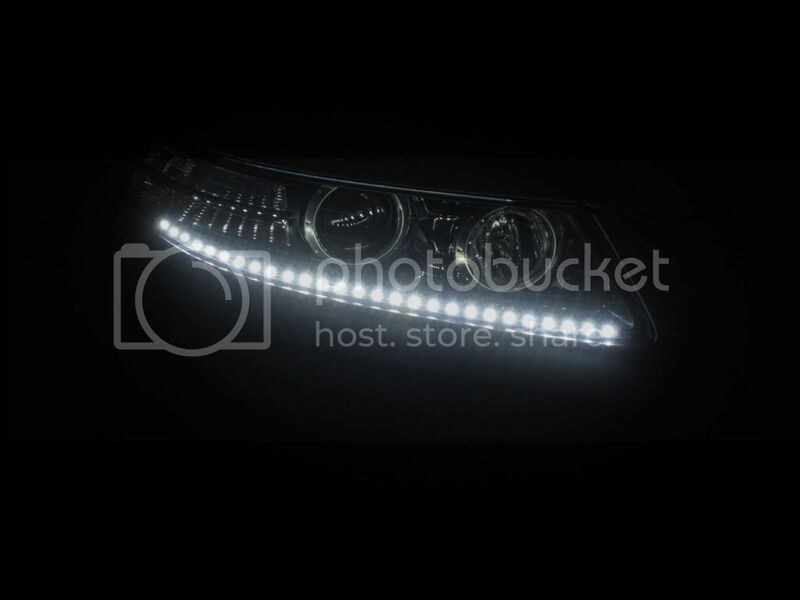 You should get super white DRL as well. Vleds.com has a led one. Draztic, please send me the link from V-LED's. 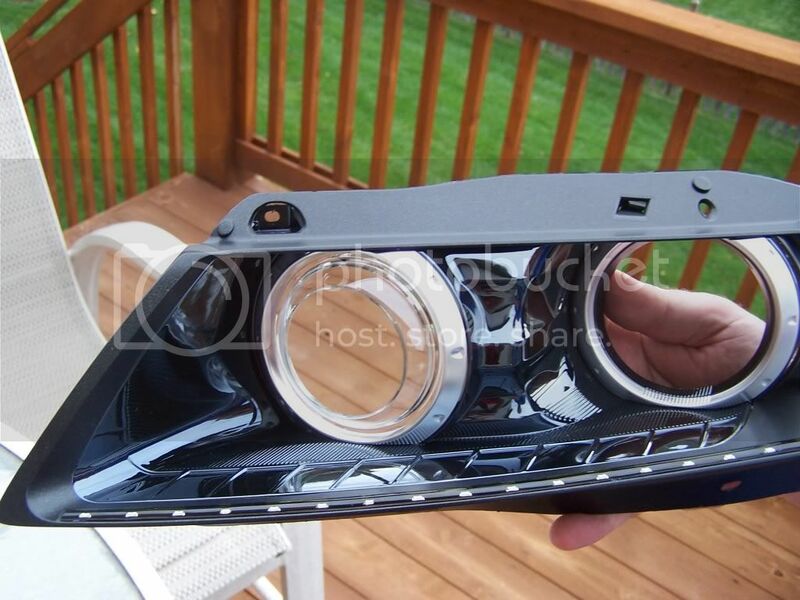 I've been looking for brighter DRL's all day and couldn't find anything that was right! Baller! I like how low profile the strips are. Yes! They are brand new-these are the side emitting LED's. 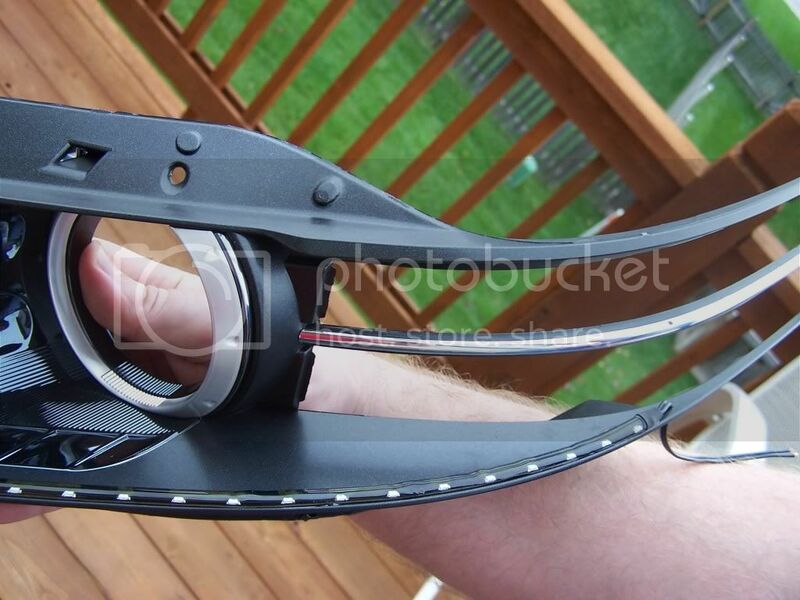 They have 2 sided tape on the bottom, so they're easy to adhere to the light brackets. I waited 3 weeks for these to come back in stock at Oznium. More pics of the CF in the headlight please. 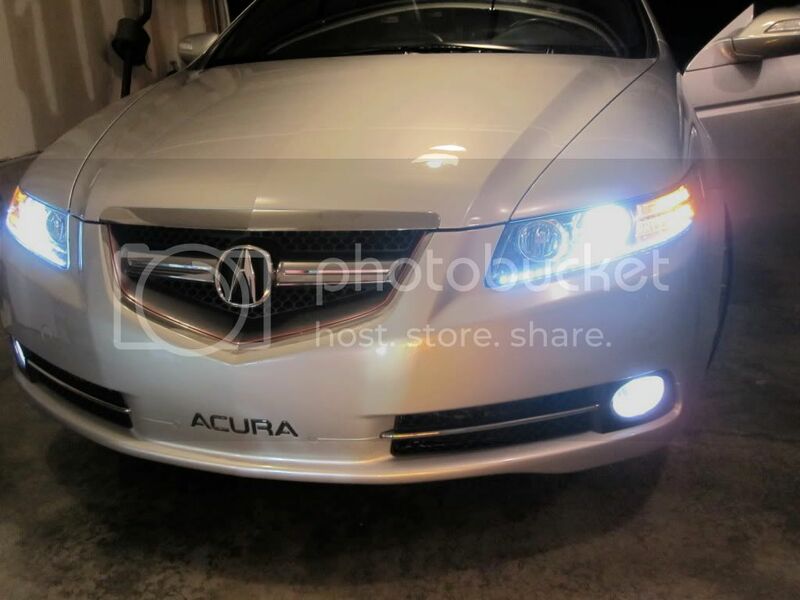 very nice steven and super clean...can you please pm me where i can find how you did that fog light install!? You purchased two 2-foot LED strips? Did you need any extra accessories other than the strips from Oznium? What fog lights? On the bottom? Those are stock on the TL-S. I think he swapped bulbs, but that's in the Owners Manual. 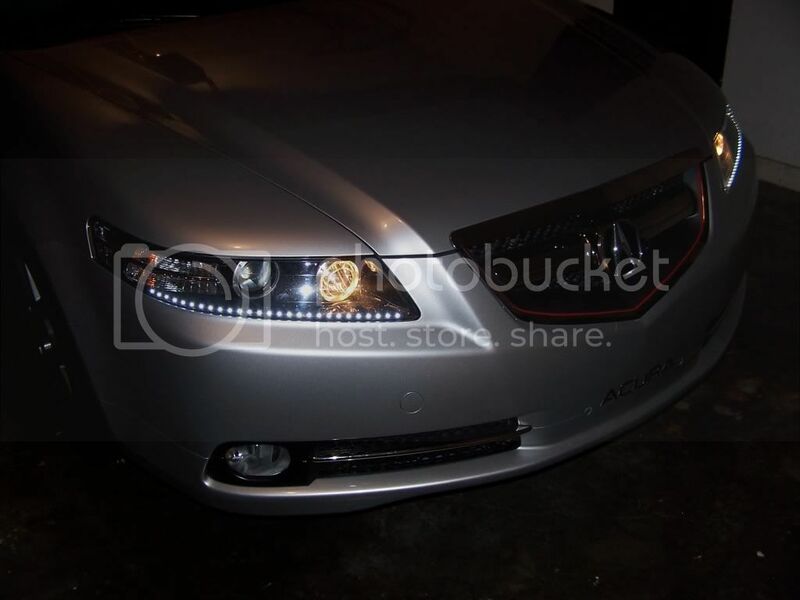 I think you need the Accord Fog Light Conversion thread. may i ask how long the led strip was ie 30cm? and what kind you got? seems like its the side emitting one from ozium. Congrats on finally tackling this... they turned out really clean. Steven, glad you are happy with the lights! Infamouslink, I've not been on the forums most of the year. Owning a house has really hit my pocket book and being on the forum is not a good way to save money due to the very contagious modding bug. But I do try to respond to PMs although I think I missed a couple in there from some other members. draztic1011, the strips from oznium is the only thing you need from them. The LEDs are wired to connect directly to a 12v circuit, no additional resistors needed. When I wired them up I did connect them to a low amp inline fuse but that really isn't needed. There are other supplies needed for opening the headlights and running wiring but nothing from Oznium if all you want is the strips. stillhere153, going all the way to the side was not possible as he left in the diffuser. If the diffuser would have been removed then we could have gone all the way over to the carbon fiber. Thait, He got the 2 foot length ones (Link to LED strips) and we cut them down to size. You can cut the strip after every 3 LEDs. Steven was nervous about that too. The 2 foot strip has 36 LEDs and we cut it down to 27 as the diffuser was in the way. bforbrian, Did not install a separate switch but that can still be done with the way I wired them. Also another reason I put the inline fuse in was so if he wanted them off he could always remove the fuse. Not as convenient as a switch but still an option. thats clean... I woulda thought going all the way to the side would've been better but that looks great. Thanks-we went as far across as possible. We had to stop where we stopped. We ran out of room. Yes, that's all you'll need! We didn't use the entire 2 foot strip on each side. 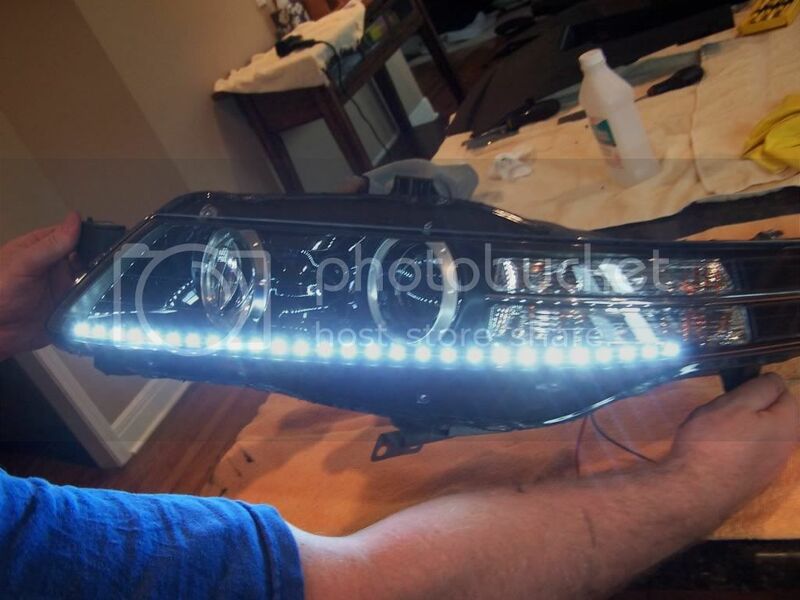 We had to cut off 6 LED lights in order for the strip to fit inside the headlight assembly. I'm not sure what the 2 foot strip is in centimeters, but yes, they are the side emitting LED's. Thanks Brian. As I said at the beginning of this thread-you were the motivation! They guy at Oznium said I should not have any trouble with the lifespan of these LED's. I guess we'll see if he's right. Hey Steve, beat you by 1 minute! Btw, we cut off 9 LEDs off each strip. Thats an awesome job!! Looks good!!! Wow that came out clean! I want to do this mod so bad. Buda come back to MN. Although it's not to my taste, the job itself is impressive. I want to do halo's but as JnC says, I haven't because I don't want to have to do it over if/when they burn out. Great work guys! The headlights look awesome! Excellent job. That looks totally legit. Nice work Buda and Steve! Very nice, Steve. A nice clean job all-around. Its funny how that amber bulb still shows through the diffuser even when its not turned on. Will look great with switchbacks! How long did they last? Do the oznium led strips not last long? Post more pictures regarding wiring pls. Need to know where to tap the wires. 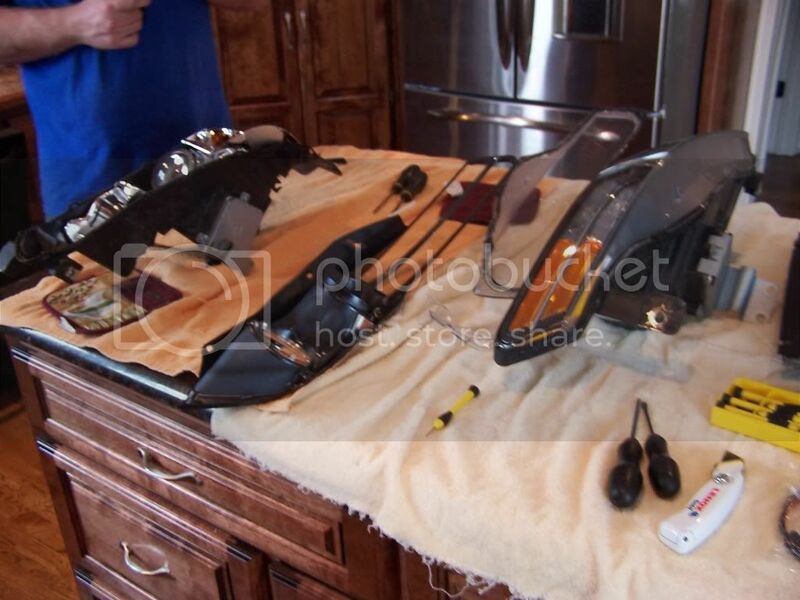 Do you ever work on your own car? wish I got the love for the CF headlight trim mod. Looks very nice... I have these sitting here in front of me but no time to install. Thanks for the pics Steve... looks great! I didn't shoot any wiring pictures, but we tapped into the windshield wipers-the green wiring. 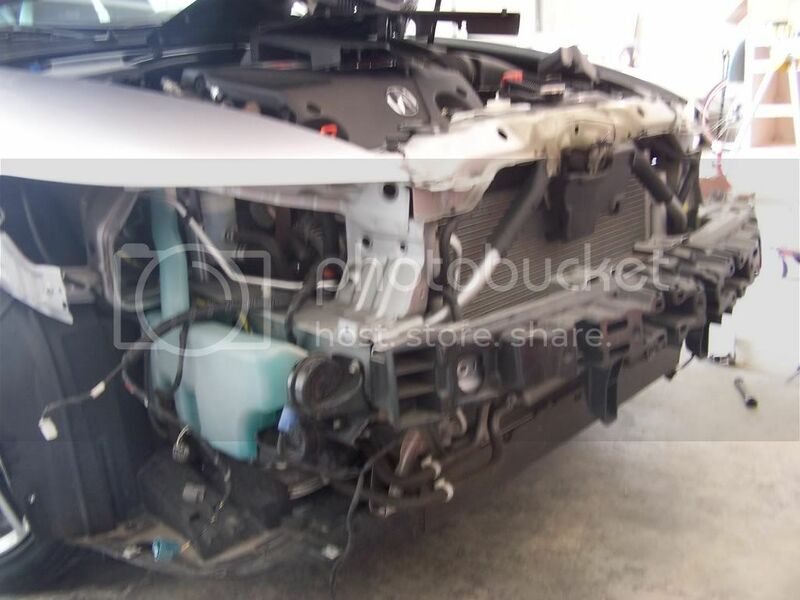 There is a group of wires close to the firewall on the driver's side. Just cut into the sheathing that protects all the wires-fish out the green wire and tap into that.